John Rock as seen from Lower Looking Glass Cliffs. I liked the "ring" of fog surrounding its peak. 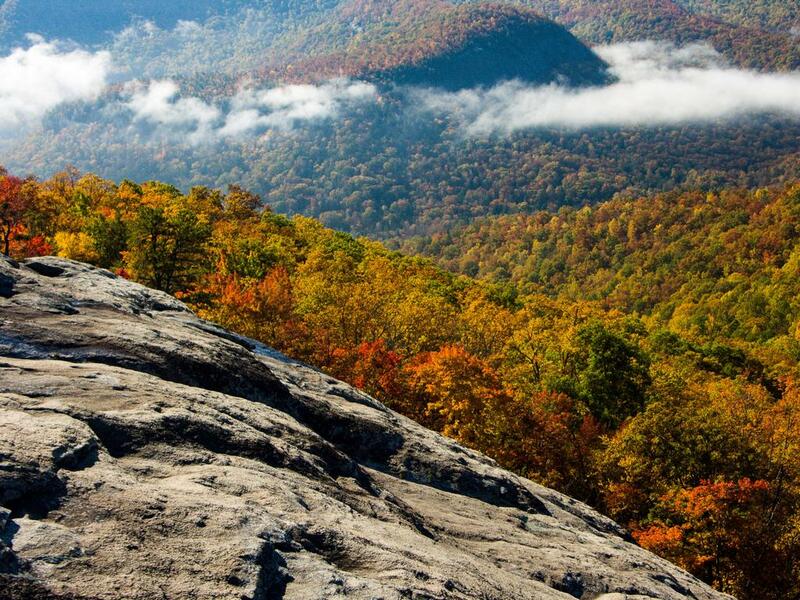 A great view of Looking Glass Rock can be had from John Rock itself.